*Authorized Dealer of Shaw Floors* Tony Tolomei is the patriarch of Tony’s Flooring Centre (formally Tony’s Broadloom) which he founded in 1961. He is respected in the neighborhood for priding himself on service and care for the customer. A pillar in the community, he happily passed on those values to his children Frank and Maria and husband Rob as together they began their journey with the company in the early 1990’s. "We believe in selling & installing products that we can stand behind 100% with customer service to match. No matter your choice or floor application, we want to make your experience informative and enjoyable." - Gord & Liz Vanden Beukel, Owners of Nufloors Simcoe Garnat Flooring opened to the Simcoe, Ontario community in 1994. Gord and Liz Vanden Beukel purchased the store in 2002 and completely updated it to provide the retail/contract/commercial consumer with a wide variety of surface selections. In 2008 the business became the first Nufloors store in Ontario. As well, a Pratt & Lambert paint business was purchased and incorporated in July of 2008. Transform your home’s flooring the worry-free way, with the guaranteed workmanship of Nufloors Simcoe. Meet our family of experienced flooring consultants and craftsmen and schedule a FREE in-home consultation today! We carry a large variety of high quality wood flooring including unfinished and prefinished hardwood or engineered floors, laminate, cork floor. We also provide related flooring services such as installation, finishing on sites, refinishing, repairing floors and others. Whether it is a family residence, condominium, commercial space, or large institutional facility, we can customize solutions to meet the most demanding applications and most rigorous standards. Our team of fully trained and experienced in-house estimators and craftsmen can work with the most difficult site conditions and ensure that your floor will be completed on schedule, with the attention to detail you expect. Consulting at different project levels contributes to our steady client base with favourable results. From an initial concept through to completion we will suggest, source and install your building materials. Contact us for a complete list of flooring applications and scope of renovation we are able to complete. "Our end goal is to instill a positive working relationship with the stakeholders to ensure repeat business. Transparency, value for dollar and skilled workmanship are core values we build our reputation on". Wheather it is working directly with the client, a selected team of Toronto's top designers, or large flooring contractors; Absolute Flooring Inc. continues to service Toronto's thriving flooring industry. Contact us to ensure your project is completed professionally. *Authorized Dealer of Shaw Floors* Since we opened our business in 1992, Carpet Plus Flooring and Renovations has been providing Toronto, ON and the surrounding areas, with high quality carpet, hardwood, flooring and renovations, customized to meet the needs of our customers. Our Concord-based flooring specialists work for both residential and commercial clients, and we also offer carpet installation in Toronto and Vaughan. 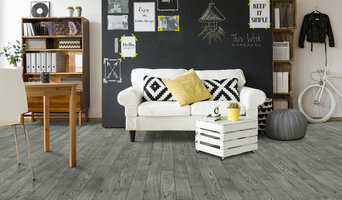 As a small, family-run company, you can count on us to offer you the kind of personalized, attentive service that ensures you get the flooring you want for your home or business. We guarantee the lowest prices on all major brands, and our customers can save up to 60% off in-stock products. We also offer free estimates on our work, so you won’t be surprised by unexpected expenses when you hire us to install carpet, hardwood or other flooring for your home or business. You can also come check out our 7000 square foot showroom to shop from our great selection of fine carpets, vinyl flooring, hardwood, laminate and ceramic tile styles and options. Our flooring specialists have all the answers you are looking for while you are looking through our showroom. We guarantee the lowest prices on all major brands, and our customers can save up to 60% off in-stock products. We also offer free estimates on our work, so you won’t be surprised by unexpected expenses when you hire us to install carpet, hardwood or other flooring for your home or business. You can also come check out our 7000 square foot showroom to shop from our great selection of fine carpets, vinyl flooring, hardwood, laminate and ceramic tile styles and options. Our flooring specialists have all the answers you are looking for while you are looking through our showroom. We guarantee the lowest prices on all major brands, and our customers can save up to 60% off in-stock products. We also offer free estimates on our work, so you won’t be surprised by unexpected expenses when you hire us to install carpet, hardwood or other flooring for your home or business. You can also come check out our 7000 square foot showroom to shop from our great selection of fine carpets, vinyl flooring, hardwood, laminate and ceramic tile styles and options. Our flooring specialists have all the answers you are looking for while you are looking through our showroom. We Provide all kind of flooring solutions for residential and commercial Projects. We provide A to Z services from removing the existing floor, Purchase the material and finally installation. 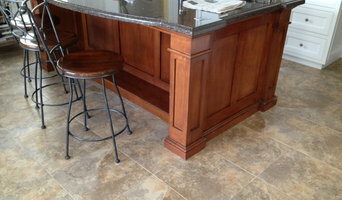 Rich-Craft Interiors carries an extensive collection of quality flooring products. Whether it is hardwood, luxury vinyl, laminate, tile, natural stone or carpet you are searching for, let our in-house decorators and non-commissioned sales team help inspire your ideas & select the perfect products for your home or business. 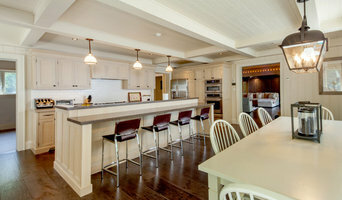 Over 30yrs experience has allowed us to become Flooring Professionals. We'll get the job done as scheduled so you can go on living your life. Don't be fooled by the BIG box store promises... we do a much better job, offer larger selection and better pricing for quality products. We will measure your job-site for FREE if you visit our store and pick some products. We don't work for commission.... we work for you. See you soon. We are a full service flooring and carpet company which has been serving the community of Toronto for over twenty years.